Christmas will be here soon and it is my favorite season! I just love all the different themes of Christmas Today I have a number color and tracing full of Christmas themes. This printable will work great for PreK or Kinder age kids. This is a number coloring and tracing book. It has numbers 0 to 10 in it. It would also work great as a review for 1st grade kids as well. 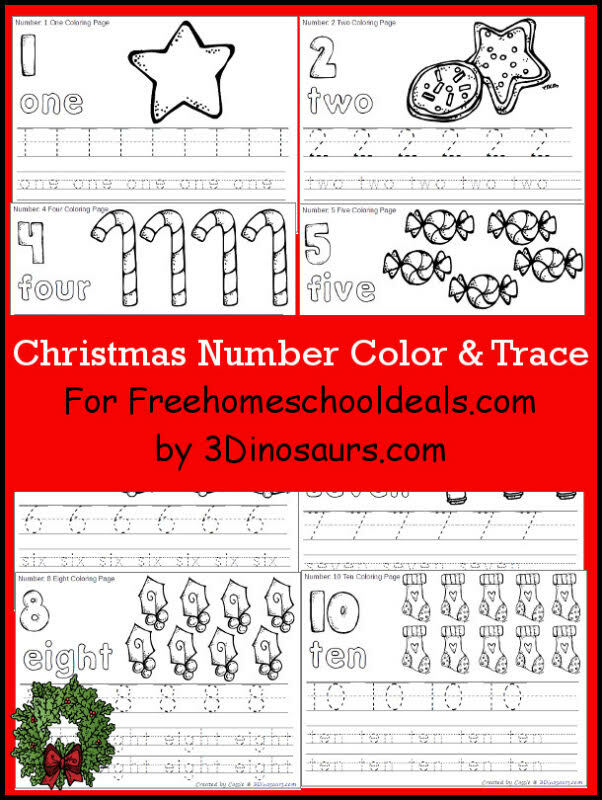 There are Christmas themes matching up to the number and have tracing for the number digit and the number word. I really like being able to work on both types of numbers together. Plus this matching up great with all the Christmas activities in my Christmas Learning Pack.